During her 22 years of training Jana has studied jazz, tap, hip hop, Afro – Haitian, Dunham technique, and choreography. Jana has been most influenced by Janel Tomblin – Brown, Ehud and Daynee Krauss, Susan Whipp, Alicia Pierce, and Kimberly Iniguez. In May of 2002 she completed her Bachelor’s degree in dance at San Francisco State University. Jana loves working with beginning level students and preschool dancers. She is most motivated to help students discover dance and movement. 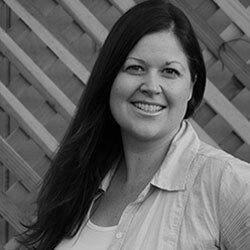 Jana has been teaching through out the Bay Area since 1998. Some of her previous performance and Choreography highlights include Kaiser Permanente’s Educational Theatre Group, Anything Goes, It’s a Wrap with Guggenheim Entertainment, Speaking of Dance and He Said She Said with Visual Rhythm Dance Company, Rocky Horror Show with City Lights Theatre Company, Wholeness with Bliss Dance Company, and Paramount Great America’s Celebration Parade. In 2007 Jana founded Small Fry Dance Club. Jana has since focused on growing SFDC. Jana hopes to bring the same drive and passion to Principal Creative & Performing Arts. Her goal is to mold and develop amazing dancers through both programs. Carlos is Jana’s husband and Co-Director of Small Fry Dance Club and Principal Creative & Performing Arts. Carlos has a background in Multimedia and Marketing and helps run the day to day office duties for both programs. 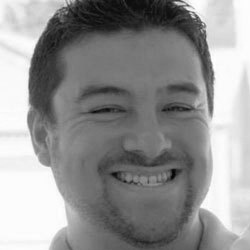 Before he joined Jana with Small Fry Dance Club on a full time basis, Carlos worked as a web/graphic designer, a video game artist, and eventually taught classes at Cañada College in Redwood City. Carlos is in charge of our website, branding, and marketing efforts. He is also in charge of our sales and expanding our reach to new schools in the Bay Area and beyond. If you have any questions about marketing, partnerships, or bringing our dance classes to your school, please contact Carlos via email. Stephanie M. Costello started dance lessons at Doreen’s School of the Dance at the age of 3 years. After 13 years of training in Ballet, Tap, and Jazz she found her love for teaching at that same studio. At only 16 she began teaching Pre-ballet, Ballet, Tap, and Jazz. During her 4 years at Doreen’s, she became a member of Dance Master’s of America with a teaching certificate. Under her mentor Mimi Costa-White-Past President of Dance Masters of America, Stephanie traveled to Las Vegas and New York for National Conventions. In 2007, she went off to San Jose State University to further her education in Dance and Psychology. In her time there she studied with Gary Masters, Fred Mathews, Janie Scott, Heather Cooper, and Maria Basile. Furthermore, she studied all levels of Ballet, Jazz, Modern, and Choreography. During College she paid her way by teaching dance classes for recreational centers and studios. In 2010, she graduated with two degrees and a passion for working with young children. She currently teaches dance classes for Pre-K level in various styles. Stephanie is also enrolled in child development classes and applying for Credentials/ Masters Program to teach young children. Stephanie joined Small Fry Dance Club in 2011 and is currently a full time staff member. She will also be teaching jazz and ballet classes for our Principal Creative & Performing Arts program. Jenny Baran, fell in love with tap dance at age four, the moment her Grandmother taught her a “time step” on the kitchen floor. 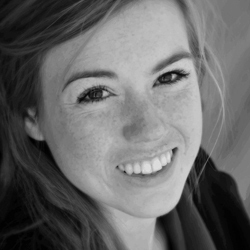 Jenny has since received training in advanced tap, jazz, contemporary, musical theater and acting. Her formal training includes Schumacher’s School of Dance, Notre Dame De Namur University’s School of Theater and San Jose State University’s School of Music & Dance. Jenny believes you never stop learning/dancing. Currently, she studies tap improvisation under the direction of tap legend, Sam Weber, and is pursuing certification in babywearing dance fitness with Joimove International. Passionate about showmanship, Jenny has performed in theatrical works such as A Christmas Carol, Grease, Gypsy, Wild Honey, and The Skin of Our Teeth. She performed with Shrungaar of Northern California, an award-winning traditional Indian dance team under the direction of Madhavi Desai. As a flyer/dancer for CHEER San Francisco, Jenny performed at America’s Best Cheerleading Competition, California’s Great America, San Francisco Chinese New Year Parade and various pride parades throughout the country. Recently, she won the “Air Guitar Challenge” on KOFYTV20’s Dance Party. To bring out the authentic entertainer and star power within every dancer, Jenny’s dance philosophy and instruction focuses on infusing dance technique with stage presence and the all-important ingredient of having fun! 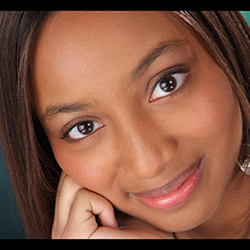 Vicktoriea “Torie” Carroll was born in Sherwood, AR. She began dancing at the age of 2 at North Little Rock School of Dance. Torie began competing at the age of 5 and began teaching as a Junior in High School at the age of 16. She was awarded her first choreography award at the age of 17 and has since won numerous choreography awards at both the Regional and National level in Tap, Jazz, Lyrical and Hip Hop. Torie is a graduate of Davidson College in North Carolina where she was Captain of the Dance Team. While at Davidson, she founded a Non-Profit Organization entitled Forever Pressing Forward in which she seeks to use dance and other art forms to address racism, domestic violence, police brutality and other social issues. 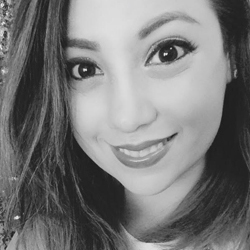 After graduating from Davidson, with a Bachelor of Science in Psychology and a Minor in Dance, Torie decided to move to San Jose to pursue her love for dance and for teaching. As a teacher, it is her desire to inspire and encourage children to foster their love for dance as both an athletic sport and an expressive form of art. Lizzie Chapman found her passion for dance 15 years ago when she took a dance class at a summer camp. Since then, she has danced non-stop and dabbled in just about any dance style imaginable. 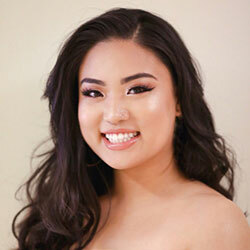 Her high school dance troupe, Mission Fusion, won numerous regional awards during her time at Jefferson High School, including several at the Ohlone Theater and Dance festivals, which they competed in annually and won “Best Overall” in 2009 and 2010. Lizzie’s passion inspired her to study dance in college and she received her Bachelor of Arts in Interdisciplinary Dance Studies with double-emphases in Dance Education and Choreography from Humboldt State University in 2014. She also received a minor in Theatre. While at Humboldt State, Lizzie was very active in both the Theatre and Dance departments. She was the President of the school’s Dance Club, which reached out to the community to provide free dance classes to anyone who wished to attend. Her work “Innermost Secrets” and her choreography for the musical “Young Frankenstein” each were placed on the “Best Of Humboldt” list in 2013 and 2014, respectively. Her senior Interdisciplinary Project, titled “A Story of a Girl”, was chosen to be performed at both the Transformational Justice Festival (in Arcata, Ca) and at the American College Dance Festival in Tempe, Arizona. Upon her graduation, Lizzie received the Outstanding Senior award from her department for her contributions to the Interdisciplinary Dance Studies program as a choreographer, dancer and for her four years of vision, dedication, and leadership for the Interdisciplinary Dance Club. In addition to all her work, she also takes away the amazing opportunity to have taken master classes with the likes of Pilobolus and Trey McIntyre Project while at Humboldt State. Post-grad, Lizzie was chosen to join On3 Dance company, a small modern/hip-hop based company from Oakland under the direction of Laura Cox. 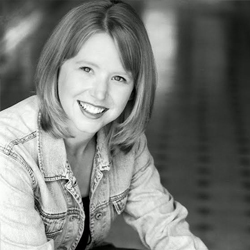 Lizzie currently also teaches children’s fitness at My Gym in San Francisco as well as dance and musical theatre at Spindrift School of Performing Arts in Pacifica. Prior to working at Small Fry Dance Club she also taught classes at Arthur Murray. Lizzie looks forward to a lifetime career as a dance educator and dreams to own her own dance studio one day. Melanie Harvengt began dancing at the age of 10 at Rena’s Dance Unlimited in Edwardsville, IL where she studied the Cecchetti Method of Classical Ballet for 8 years. In 2016 she received her B.F.A. in dance from Webster University in St. Louis, Missouri. During her time at Webster she studied under Alicia Graf Mack, Michael Uthoff, James Robey, Beckah Reed and Maggi Dueker and performed works by Jose Limon, Wendy Rein and Ryan T. Smith of RAWdance, Tymberly Canale Harris, Jamie Graham and Gary Hubler. In 2016 she received a grant to choreograph and produce an evening length work titled The Living Space at the Kranzberg Performing Arts Center in St. Louis, Missouri. After graduating Melanie remained in St. Louis for a year during which she performed with Karlovsky and Company Dance and in the St. Louis Fringe Festival. Additionally, she taught dance to all ages and levels at Central Studio. 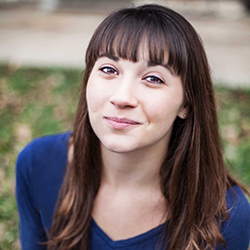 Melanie recently moved to the Bay Area to continue to share her love of teaching, choreographing, and performing. Melanie is also teaching for our PCPA program. Christa’s love for dance started at the age of three when her Mom enrolled her in tap class and she never looked back. She kept dancing adding ballet, and jazz to her dance forms as well as performing in the Davis Jazz Choir and her local musical theater company (DMTC). She studied tap at the Davis Art Center under Jere and Julie Curry, Bill Strickland and Lee Harry for 8 years. While attending Palomar College she studied tap under Valerie Clark for 2 years. In 2009, She earned her Bachelor of Arts degree in Liberal Arts with an emphasis in child development from Sonoma State. Christa has a great combination of dance training, teaching experience, and early childhood education exposure! 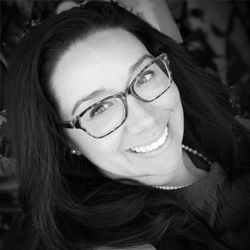 Her teaching experience includes Echale (Stanford University), Davis Art Center, and Gretchen Higgins Elementary School. Her favorite dance styles are tap and musical theater. Christa is passionate about teaching young dancers. Combining her love for music, dance, teaching and children is a dream come true. Christa is one of our Small Fry parents. Her daughter has been taking classes for 2 years now and her younger son also started dancing with us in 2014. Christa will also be teaching for our Principal Creative & Performing Arts program. Her focus will be tap and musical theater for kids and adults! Tayler Kinner grew up dancing in a small town in Illinois. She then moved to St.Louis, Missouri where she earned her Bachelor of Fine Arts in Dance and a minor in Advertising and Marketing Communications at Webster University. Throughout her dance career, she has studied ballet, modern, tap, jazz, hip-hop, aerial work, classical Thai Khon dance, dances of the Philippines, and improvisation.Tayler has worked with artists such as Beckah Reed, James Robey, Michael Uthoff, Jan Crosby, Maurya Kerr, Monica Newsam, and Ryan Smith and Wendy Rein of RAWdance. She has also performed with Turn of Change Dance Collective, Karlovsky & Company Dance, Smashworks Dance Collective, Alyssandra Katherine Dance Project, and has performed in Hau Hin, Thailand where she studied classical Thai dance under Pichet Klunchun. Tayler has been teaching since the age of 15 and currently teaches group fitness classes at Cardio Barre SF. She is excited to continue passing along her love and passion for the art of dance to the next generations. Karen Luu is a contemporary hip hop dancer from Southern California who has moved to the San Francisco to broaden her dance styles in Modern, Jazz, and Ballet. She has danced competitively in her High Schools hip hop dance team and has been under the instruction of all San Francisco State University’s dance faculty for the past five years. Karen has choreographed for the SFSU collegiate showcase for two years in a row which allowed her pieces to be showcased at Stanford University’s Bay Area Dance Exchange. Karen has a passion for educating arts and has experience in teaching dance to children with special needs, she hopes to one day become a physical therapist for dancers. She’s currently performing with University Dance Theatre’s company and is expecting to graduate this spring with two bachelor’s degrees of Dance and Kinesiology. Laura McComb Van Dyke grew up in Media, Pa and studied dance primarily at the Pennsylvania Ballet’s Rock School West, Pennsylvania Academy of Ballet, and Media Dance Center in Ballet, jazz, tap, and lyrical. During her last year in High School she was also able to study modern at Temple University along side their B.F.A and M.F.A students. She graduated with honors from Rutgers University’s Mason Gross School of the Arts with a B.F.A. in dance. She has been teaching dance to ages 2 through adults steadily now since 2007, including three years as Associate Director of Hudson Dance and Movement where she helped develop their curriculum. Many of her ballet students have gone on to be accepted into the School of American Ballet, American Ballet Theatre’s school, and Ballet Academy East in New York City. Her professional experience includes dancing for Kelley Donovan and Dancers, and Nikki Manx Dance Project in New York City, New Jersey, and Boston. Her choreography has been presented at the Boulder International Fringe Festival, the Philadelphia Fringe Festival, and many venues and festivals throughout New York City and New Jersey. She is also a licensed Massage Therapist in New York. Laura looks forward to bringing her passion for and knowledge of movement to children while continuing her own education as a teacher. Laura and her husband moved back to the East Coast to be close to family when she was pregnant with her daughter. 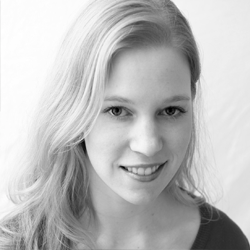 Although far away, we have brought her on as our curriculum developer, as well as our Director of Ballet for PCPA. She will be working remotely with staff and accessing classes through video. She is a valuable asset for us and we are glad to have her on board. Arts have been part of Angelica’s life since childhood when she started playing violin. 7 years later she felt the need of translating music into movements. Dance became her passion, and then profession. She graduated in Dance and Education from the Federal University of Para, directed the Mirai dance Company, and was a four times winner of best company in the north of Brazil. 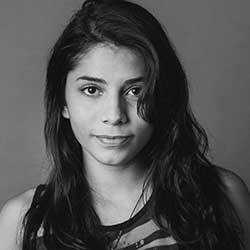 While creating at Mirai Dance School (also in Brazil) Angelica produced over 100 events, workshops and shows with the professional group and students. She has 10 years of training in Hip Hop, Waacking, Street Jazz, Dancehall, as well as Afro indigenous dances. Angelica fell in love with Hip Hop culture at a very young age, since then has dedicated part of her studies, work and research to teach the importance of urban art to the development of a healthy and just society. She traveled Brazil with her dance company, from big cities to small communities in the rainforest to study cultures and their performances. 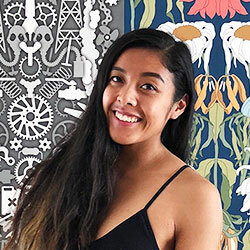 Angelica believes in dance as a tool for social change and self-awareness; it is not only about technique, it is about the ways in which dance presents the possibilities of one’s body, and teach how to overcome barriers and connect with communities. Micah began her training over 20 years ago when her mom enrolled her at a studio in Utah; she hasn’t stopped dancing since and her passion for artistry and athleticism has only grown. Her dance training includes contemporary, modern, jazz, tap, ballet, and world dance. 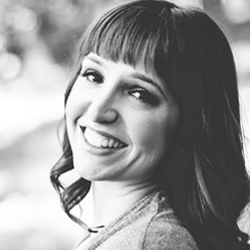 She earned her Bachelor’s of Arts in Dance Education from Brigham Young University. During her studies at BYU, Micah performed, choreographed and taught with the three Contemporary Dance companies at the University throughout public schools in Utah, Colorado, and Idaho, throughout India and China, and within the University dance program. She danced professionally with Salt Contemporary Dance in Utah before moving to the Bay Area and joining the Small Fry and Principal Arts teaching team. Janis has been dancing seriously since the age of 17. She was reintroduced to dance from the Color Guard program and IndepenDance Company at Independence High School in San Jose. 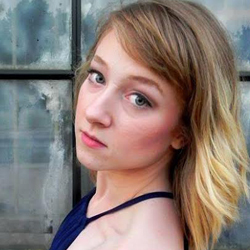 After graduating high school, she continued to progress her dance training at a pre-professional level with Bliss Dance Company, ResplenDance Company, University Dance Theatre, and recently, Hubbard Street Dance Company Summer Training in Chicago. She will be completing her BFA in Dance at San Jose State University in 2019. She aspires to be a choreographer and to be involved with professional companies and arts programs, whether on stage or behind the scenes. Janis additionally coaches high school colorguard, teaches Adult Contemporary, and has most recently started dabbling in small dance projects with local artists. She is excited to join the Small Fry Dance Family! 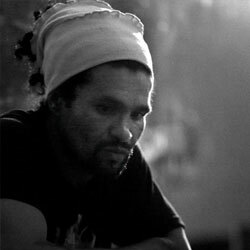 Mestre Cafu, born and raised in Brazil, began practicing capoeira at the age of six. Due to his natural talent for the art, he was teaching by the time he was 15 years old. He played a major role in establishing the capoeira groups ABADA Capoeira and Roots of Brazil. At the age of 18 he was invited by San Francisco State University to teach various workshops. At that time he also toured the U.S. performing with different Dance companies. In the U.S. he began teaching capoeira at a dance academy in Santa Cruz, CA. He then moved on to Hawaii, where he was the pioneer of capoeira. For the last 24 years he has been teaching classes and workshops throughout the United States and building groups in California, Colorado, Hawaii and Texas.